Our agency provides you the best incoming services in Treviso and all around the Veneto Region ! We offer meeting facilities, transfers, accommodation, daily excursions, all-inclusive packages that are designed according to customer requirements. 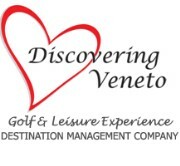 Food and wine experiences, tastings of typical products, sporting excursions, tours to discover the great Venetian artists ... are just some of the ingredients that Veneto Region offers for an unforgettable experience!